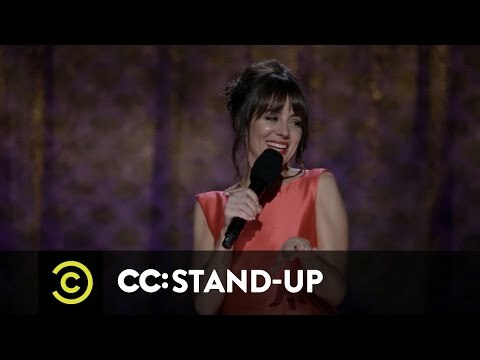 Her new special, The Honeymoon Standup Special, features her husband, Moshe Kasher, and was released earlier this year on Netflix. On the big screen, Leggero starred in two comedy films including Neighbors alongside Seth Rogen, as well as Let’s Be Cops opposite Jake Johnson and Damon Wayans, Jr. She also had a role in the 2009 romantic comedy He’s Just Not That Into You. Leggero has built her body of work with numerous roles on prominent television series including NBC’s Community, FX’s It’s Always Sunny in Philadelphia, Arrested Development, Comedy Central’s Reno 911 and Drunk History, ABC’s Suburgatory, the sketch comedy Key and Peele, Comedy Bang! Bang!, Chelsea Lately, and The Tonight Show, among many others. In 2012, the actress was featured in the Emmy® nominated web series, Burning Love. In addition, Leggero’s voice can be heard on multiple animated series such as Comedy Central’s Ugly Americans and Brickleberry, The Life and Times of Tim on HBO, as well as Aqua Teen Hunger Force and China, IL for the Cartoon Network’s Adult Swim.